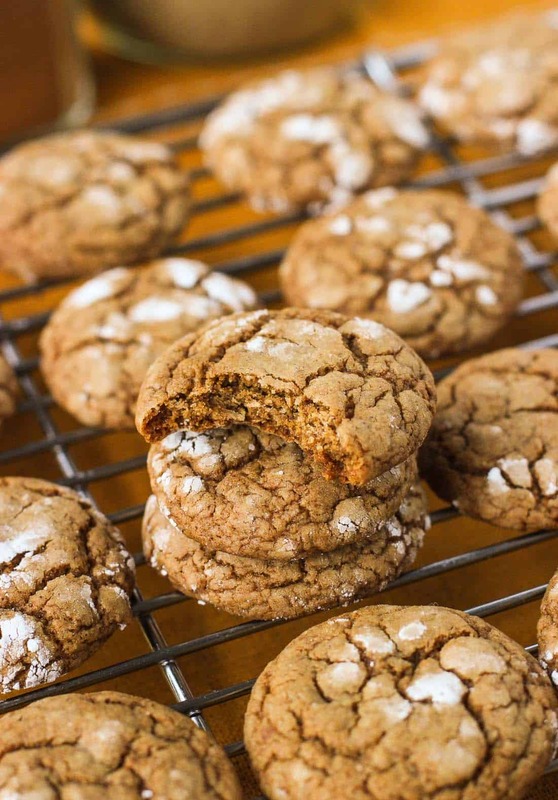 Pfeffernusse are thick and chewy spice cookies that just scream ‘holidays’! 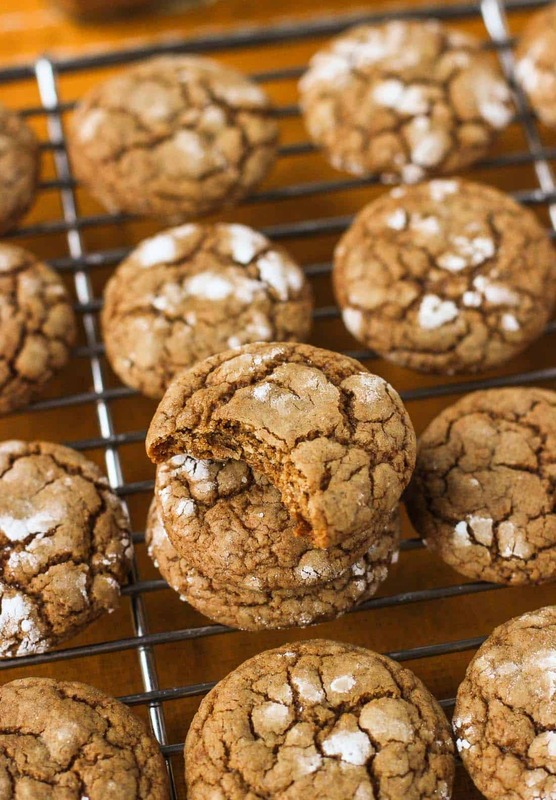 These small yet substantial cookies are rolled in powdered sugar for a sweet touch. This version is dairy-free, too! I’ve been living on the edge over here, and I think it’s safe to say that this fall has gotten away from me something fierce. However sometime in mid-October I found some time to make a million batches of Christmas cookies, because obviously that time wouldn’t have been better spent focusing on what’s going on in the actual fall, now would it? Several of those batches were these pfeffernusse cookies, which I can’t possibly wait to share with you. 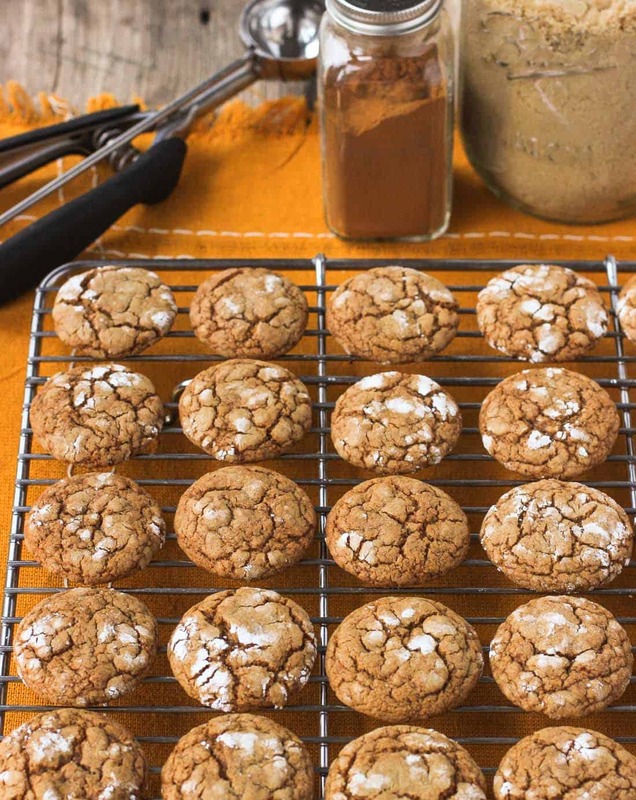 They’re chewy, hardy cookies that are spiced up perfectly with the classic mix of cinnamon, cloves, nutmeg, and ginger, but also ground pepper. Pepper in your cookies! 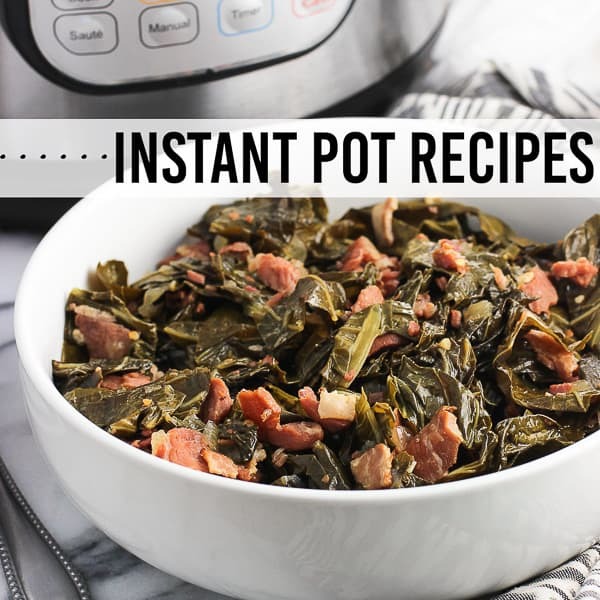 It adds a bite that blends so well with the sweet flavors. I promise your guests won’t think you accidentally grabbed the pepper instead of the salt shaker! Every December growing up we’d get our annual batch of (store-bought) pfeffernusse cookies, which came in a bag and were just TOO. GOOD. This year I wasn’t holding out hope that I’d be able to find them in my local stores so I tried my hand at recreating them at home and tweaking the recipe until they were juuuuuust right. 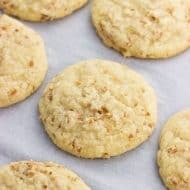 My first batch resulted in very large cookies, which we were thrilled about because you could enjoy many more flavor-packed bites while still sticking to your promise of eating “just one cookie”. 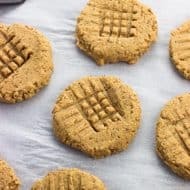 After that first (delicious) batch I got a little self-conscious that the extent of my knowledge of pfeffernusse cookies came from a supermarket version so I did a little research and learned a few things. Number one being that pfeffernusse are typically small cookies, so my extra large batch was fab but atypical. 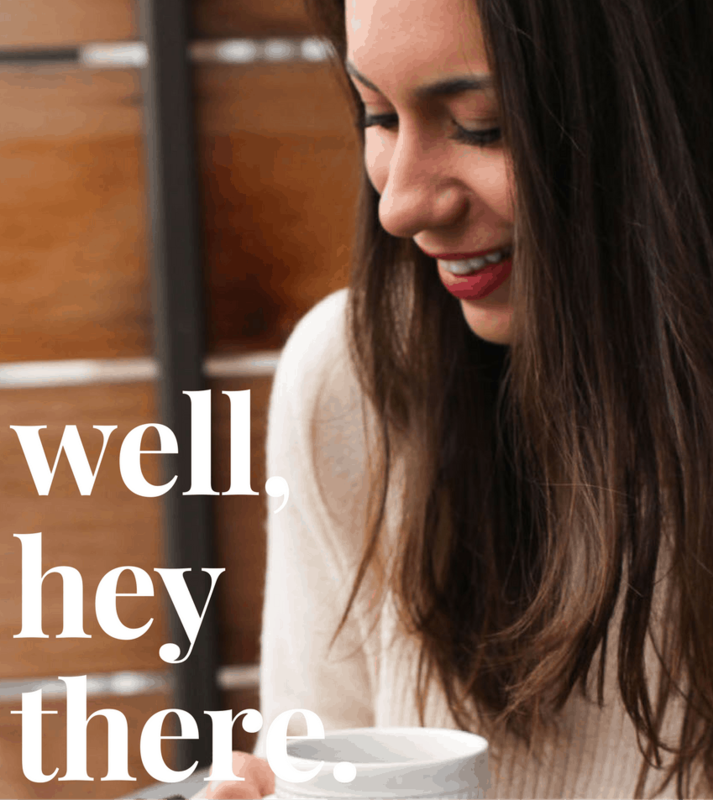 So small was the name of the game for batches #2 and beyond. Then there’s the issue of the powdered sugar coating. The store-bought variety certainly had a sweet white coating, but my Googling brought back mixed results. Apparently *authentic* pfeffernusse cookies don’t have a thick confectioners’ sugar coating? Since this seemed like an area in which I could reduce a bit of extra sugar without sacrificing taste, I took it. I simply rolled the pfeffernusse cookie dough balls in powdered sugar pre-bake, and let them develop their cracked texture as they baked. In a separate small bowl, whisk together egg and anise extract. Once molasses mixture has sufficiently cooled, very slowly pour in small amounts of the egg mixture, whisking continually, until all is combined. 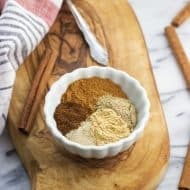 In a separate bowl, add flour, granulated sugar, brown sugar, baking soda, cinnamon, nutmeg, cloves, ginger, white pepper, and salt. Whisk to combine. Pour molasses mixture into bowl with the dry ingredients and stir so that everything is combined and mixture is smooth, trying not to overmix. Form the dough into a ball and wrap in plastic wrap. Refrigerate dough until thoroughly chilled, at least 1-2 hours. Once dough is chilled, preheat oven to 325 degrees F and lightly grease baking sheet(s). Add 1/4 cup of confectioners' sugar to a small bowl and set aside. Scoop small balls of dough (approx. the size of a large gumball), form into a sphere with your hands, and roll all sides in the confectioners' sugar, dusting off any additional sugar. Discard remainder of sugar. Place cookies about 1" apart from one another on prepared baking sheets. Bake for 11 or so minutes, or until the tops of the cookies are mostly firm to the touch and bottoms have darkened slightly. Let cookies cool on baking sheet for 5-6 minutes, and then transfer cookies to a wire rack to cool completely. Once cooled completely, you may coat or dust pfeffernusse in remaining 1/4 cup confectioners' sugar before serving if you prefer. I skipped this step for the cookies in this picture. Make sure the molasses mixture is at room temperature and no longer warm. If not, you run the risk of having small pieces of cooked egg in the batter if you add too much egg at once to the molasses mixture while it's still warm. If this happens, the batter will still be just fine to use (I've been there, done that), but it's a bit of a bummer. No worries though - you won't be able to tell in the final product cookies. Prep time includes approximately 1/2 hour for cooling the molasses mixture and 1 1/2 hours for chill time. Nutritional info includes the second rolling of confectioners' sugar. These were some of the best cookies I have ever had. Very forgiving recipe also. I had a 3 year old screaming bloody murder. A 12 week old puppy terrorizing the 3 yr old and an older dog. Total chaos in my kitchen! They were well worth that battle. 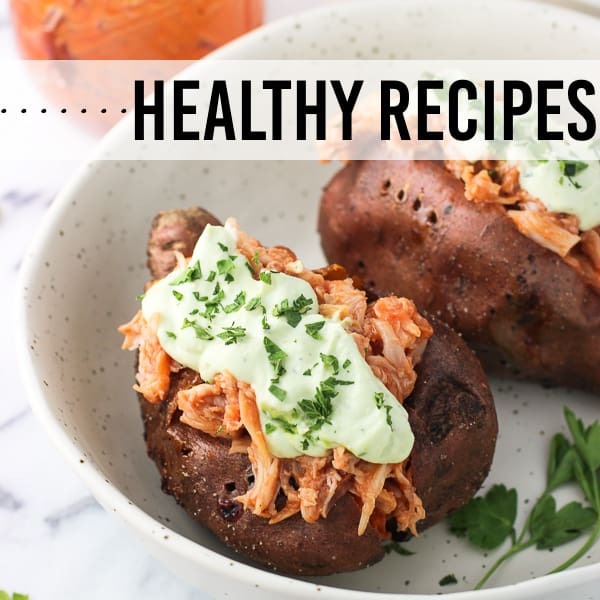 The only bad thing with this recipe is that it did not make enough. Thank you for this recipe. I’m so happy you liked them, Sheryl! And glad to hear they were worth making in the midst of a lot going on. 🙂 Happy holidays! 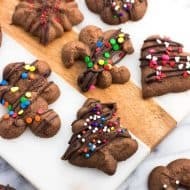 How many days in advance of serving can you make these cookies? We’re throwing a party this weekend and I’m trying to do some prep ahead of time. Thank you! Hi Lecia, I would say these cookies would be just fine made a few days ahead of time – maybe 2-3 or even longer? They’re pretty chewy/hardy so they have some staying power. If your party is this weekend then I’d imagine anytime now would be good. Stored in an air-tight container we enjoy these cookies for days after making them (until the batch is gone). I hope that helps! I just finished baking these cookies. I have a couple questions: the batter never became smooth. It stayed crumbly. I was able to form a ball, with difficulty. I baked cookies as stated, but the cookie remained mostly in a ball and did not flatten? Could you give me some suggestions. Hi Lorraine, sorry the batter gave you some difficulty. How are you measuring your flour? I use a spoon and stir up the flour in the canister, spoon it into a measuring cup, and remove the excess by leveling off the top with a knife or the handle of the spoon. That way the flour isn’t packed in the cup which leads to too much flour inadvertently being added to the batter. That could cause a crumbly texture. If you’re already measuring flour that way, then I’d say start by adding 1 1/2 cups and see how the dough is. If it’s too sticky, keep adding additional flour by a tablespoon at a time until it’s smooth. Too much flour is probably behind the cookies not flattening that much, too. As for pfeffernusse, the ones we always had growing up were taller/more rounded in appearance than these, so the appearance of yours may actually be more authentic than mine! That said you’ll want the cookies to be chewy and not too dry in texture, so I’ll bet tweaking the flour will help. I hope that helps! Grew up with these cookies..can they be frozen? I always end up with a baking marathon starting the 20th or 21st. I don’t pick freezable cookies. Hi Karen, I’d say these could be made and frozen ahead of time. They’re pretty hearty little cookies. I might wait to dust them with powdered sugar until fully defrosted and ready to serve so the temperature changes don’t mess with how they look. Another option is to prepare the dough up, chill it so it’s firm and will hold shape, roll it into balls, and then freeze the raw cookie dough balls in an air-tight container with wax or parchment paper between layers. What would be required for serving would be to put the frozen cookies on a baking sheet, letting them thaw for 15-20 minutes, and then baking them ‘fresh’ then. I haven’t gone that route with these pfeffernusse but I’ve frozen chocolate chip cookie dough that way before and it worked out. I hope that helps! I love Pfeffernusse cookies. Can’t wait to try these. I love them too, Regina! I just made these and they taste delicious. A perfect blend of spices and flavoring and chewiness. I made them the size of a large gumboil but expected they would come out larger. They’re fine but smaller than I thought they would be judging from your pictures. I wonder how adding nuts might come out. Maybe I will experiment with that next year. Hi Mari, I’m so glad you enjoyed them! Size does tend to be a little tricky to convey in photos sometimes. 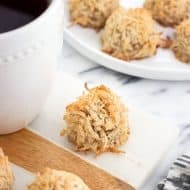 These cookies are traditionally made very small, though you can definitely increase the size of each ball of dough and add a few extra minutes of cook time (and more space between each cookie for spreading) to yield larger cookies. I might do that myself the next time I make them. I’ve never added nuts to the batter before but it sounds like it would be a delicious addition. Thanks so much for writing in and I hope you have a wonderful holiday! These cookie look seriously fantastic though! I cannot wait to start my christmas baking! Amazon Prime saves my LIFE! I haven’t tried this type of cookie, but man they look good 🙂 love the spices!! I feel the same way, time always seems to go by way too quickly. 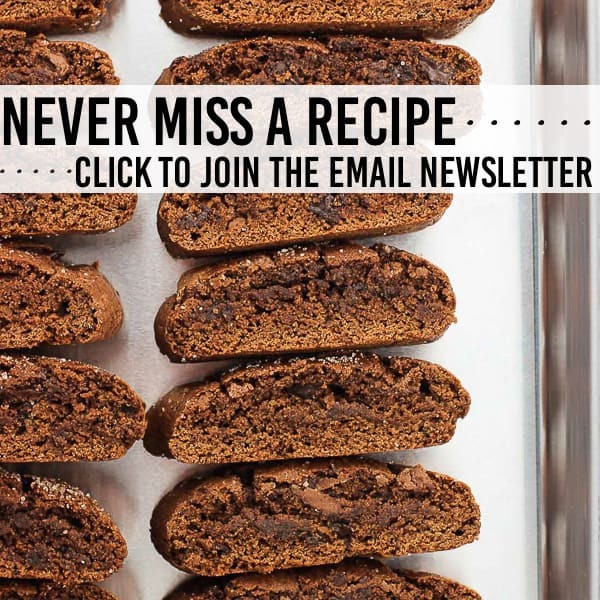 Savoring those extra moments to make holiday cookies sounds perfect! I have never heard of pfeffernusse cookies before but they are absolutely beautiful, Alyssa! 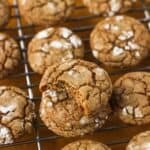 I love how chewy they are with those pretty crackles and the powdered sugar and the spices sound incredible! I tried pfeffernusse cookies for the first time last winter and I quickly became obsessed! You’re making me excited to try them all over again! These look absolutely PERFECT, Alyssa! So ultra-soft and chewy! Love this fun cookie! Just perfect! I have never heard of this kind of cookie!! They are so so beautiful though! I am a huge fan of “spicy” baked foods, I love spice cake or pumpkin spice cookies, etc. I just love the flavor those ingredients pack! I just bet you’d love these Annie! Their flavor is addictive I think. Thanks! 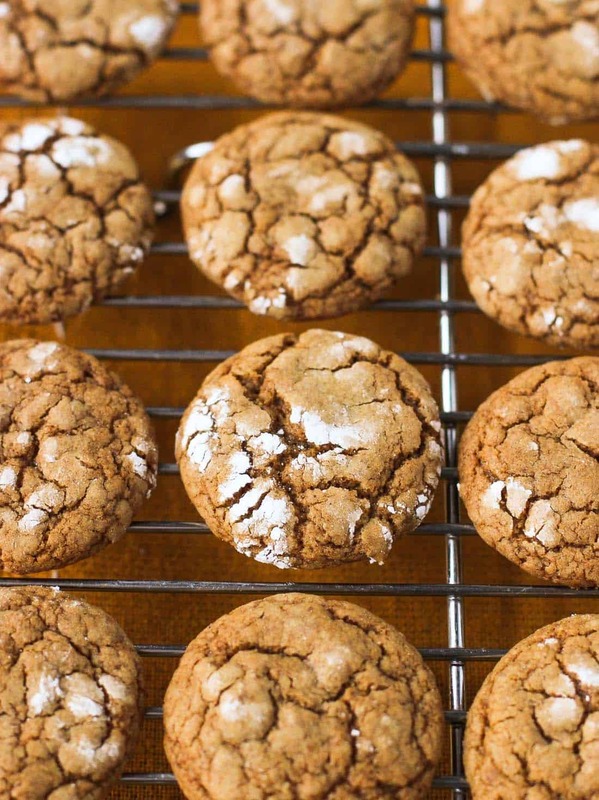 I’ve never had this kind of cookie, and I know I would love it with the molasses and all those warm spices! These look perfectly thick and chewy, and are a must-make! Thanks Marcie! 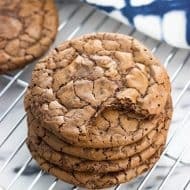 They’re one of my favorite cookies – it’s great (and a little too tempting) that I can now make them at home! Haha it’s so fun to say, Sues! And oh man, I have no clue what I did beforehand! Just so so convenient. We recently started using their subscribe and save program for stuff like Tug’s dog treats and I can’t get over how great it is. I’m in danger of putting all the things we use pretty regularly on there!